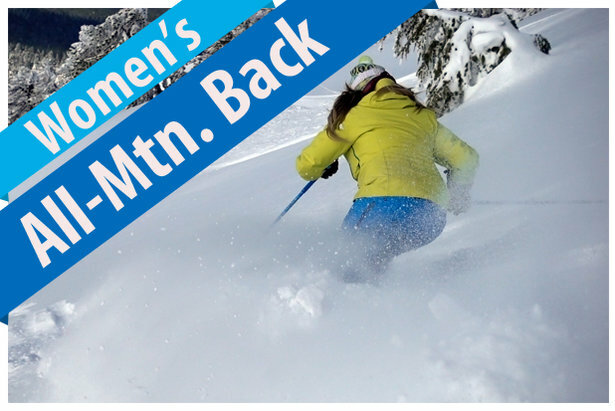 Women's All-Mountain Back ski reviews for 2017/2018. The near universal applicability of All-Mountain Back skis for men does not apply equally to women. The extra width that makes the men’s All-Mountain Back skis ideal in off-trail conditions is a smidge too pudgy for many women to comfortably tilt to a high edge on hard snow. Bigger and stronger women can ignore this caveat, but for most women, an All-Mountain Back model ought to serve as a second ski for soft snow conditions. In this wider gear genre, women’s skis usually mimic parallel men’s skis, but there are exceptions like Head’s Great Joy and Blizzard’s Black Pearl 98 that deploy a women-specific design that emphasizes light weight. At one time “made for women” meant lighter and lamer, but both these models demonstrate that carbon, in one incarnation or another, can make a ski both lighter and stronger. Off-trail skiing isn’t for novices, and most intermediates would rather listen to a time-share pitch than be tossed into a couloir. Point being, All-Mountain Back skis aren’t made for these skiers, but for those with more advanced to expert skills. None of these skis are overly burly to the degree that they should bear an “Experts Only!” warning, but lower skill skiers should be advised that a fatter ski doesn’t make anyone better, just more buoyant. Within the ski reviews below, each model is rated for its compatibility with Finesse and Power skiers. Finesse skiers typically ski with their feet more or less under their hips; Power skiers routinely extend their feet far to the side—with a distinct break between the angle of the upper body and the legs. Editors' Note: Any test exercise is to some degree dependent on snow conditions to capture all the desired data. Suffice it to say, last season, nature didn’t cooperate, creating abnormal holes in our coverage. We managed to corral a lot of men’s model results but misfired on several women’s skis. Among the MIA’s were the Dynastar Legend W 96, Fischer My Ranger 98, Head Great Joy, Nordica Santa Ana 100, Rossignol Sky 7 HD W, Salomon QST Lumen 99 and Volkl 90 Eight W. As they say in show biz, we’ll try to do better next time. 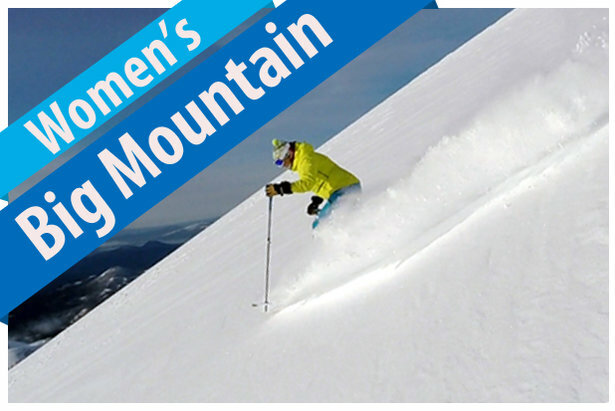 The Women’s All-Mountain Back ski reviews are provided by our equipment experts at Realskiers.com, powered by Masterfit. Reviews for women's 2017/2018 Big Mountain skis.